I’m always trying to come up with ways to take learning outside. Now, I’m not talking about taking a workbook outside to do instead of working at the kitchen table. I’m talking about using nature as a tool to help with learning. 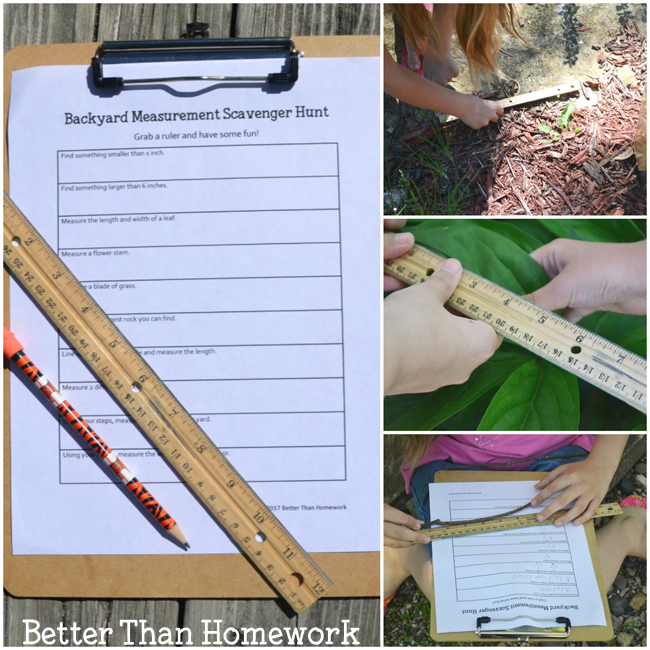 And, that’s why I love this backyard measurement scavenger hunt. 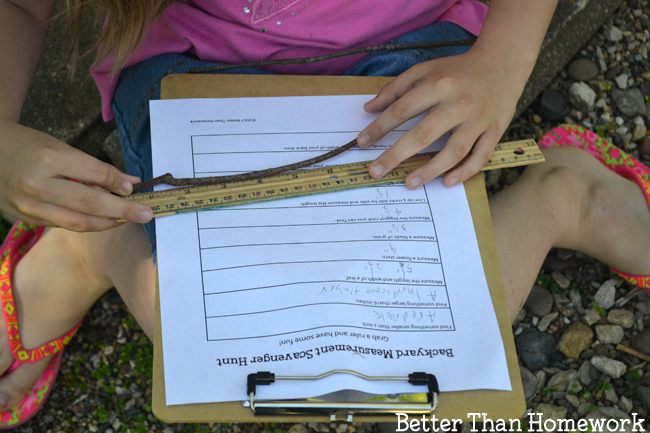 It’s the perfect combination of math and outdoor learning. You’ll need a ruler, pencil, clipboard (or other hard surface), your printable scavenger hunt sheet, and a couple of willing participants. That’s all it take to prep this activity. This scavenger hunt is designed to be done in just about any yard. You should be able to find everything whether you live in the city or country. 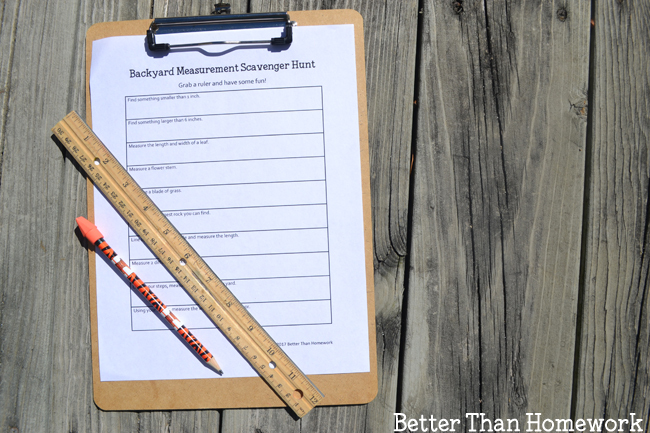 It’s time to go on our backyard measurement scavenger hunt! Make sure you have your ruler and head outside. Can you find something smaller than one inch? Or something larger than six inches? We found a small rock and a length of landscape timber. Can you line four rocks up side by side and measure them? Ours totaled one and a half feet. 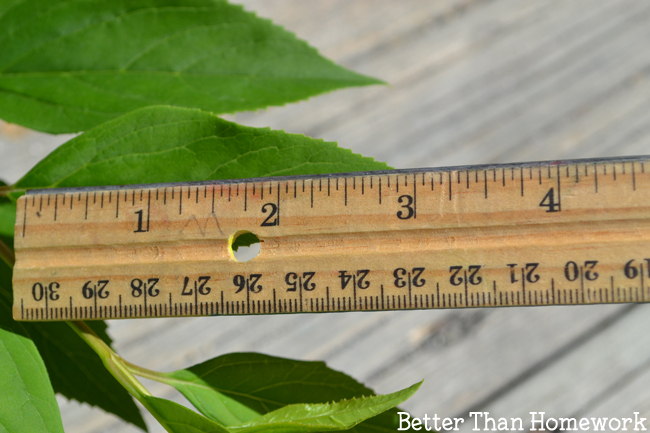 Try measuring the length and width of a leaf. We found a big one that was five and a half inches long and two and a half inches wide. You won’t need a ruler for everything. Now it’s time to put the ruler away and try a little measuring with nonstandard units. We’re going to measure with our hands and our feet. 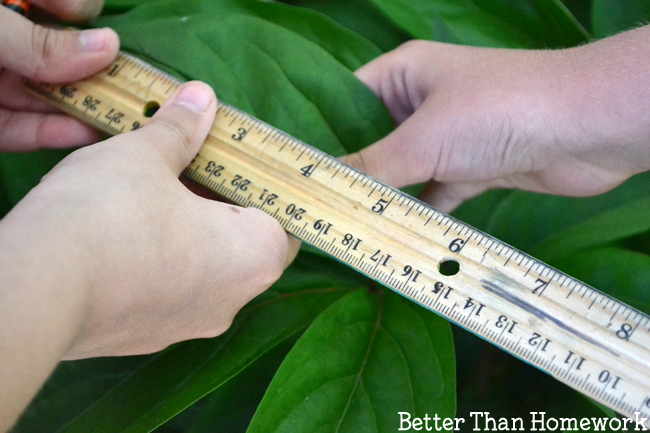 Use your feet to measure the width of your yard and use your hands to measure the width of your back door. What number did you get? 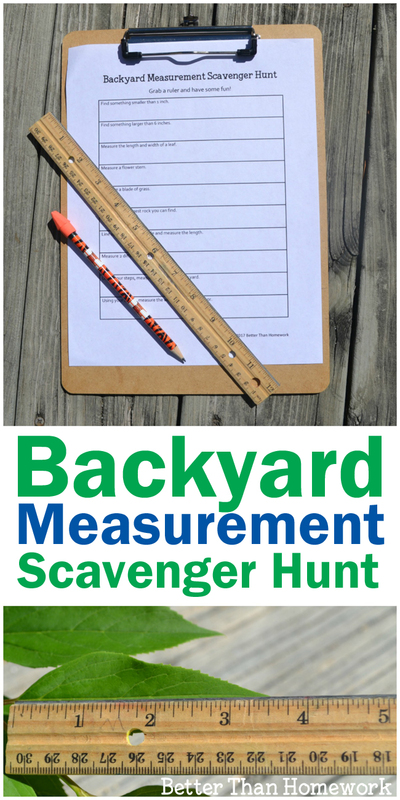 This backyard measurement scavenger hunt is a great outdoor math activity. You’ll learn about measurement and work on math skills all while getting out and exploring your own backyard. It’s so much fun to use nature to do math! Don’t forget to grab your scavenger hunt printable here.